The right wing politician who masterminded the killing of a South African anti-apartheid hero was granted medical parole on Friday, setting aside an earlier decision by the justice minister to block his release. 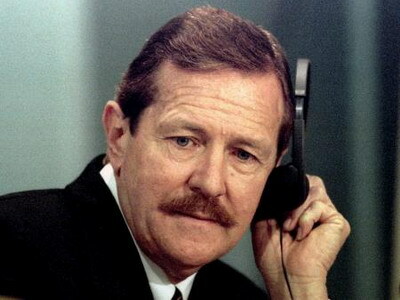 Clive Derby-Lewis, an ultra-right wing politician who masterminded the 1993 assassination of Communist Party leader Chris Hani in an attempt to trigger a race war, had been serving a life sentence for the murder. Derby-Lewis was diagnosed with cancer and had asked to be paroled. But Justice Minister Michael Masutha denied his request in January on grounds that his cancer was Stage 3 and not Stage 4, a prerequisite for medical parole to be considered. He then asked the court to review the minister’s decision. “The applicant has made out a case for placement on medical parole. The applicant is placed on medical parole with immediate effect,” said High Court Judge Selby Baqwa, adding that the parole board would determine his release conditions. Derby-Lewis, who escaped the death penalty when capital punishment was abolished, has served over 20 years in prison. Hani’s murder threatened to derail South Africa’s transition from white minority rule to multi-racial democracy, leading to riots across the country and triggering fears of a civil war. The justice minister had granted parole in January to apartheid death-squad leader Eugene de Kock, dubbed ‘Prime Evil’ after more than 20 years in prison. De Kock was jailed for his role in the torture and murder of scores of black South African activists in the 1980s and early 1990s and was released by the minister “in the interests of nation-building and reconciliation”.